Baby Zee is growing good so far. He is now 45 days old. We just had his first dose of vaccination yesterday and he did turn out be a cranky boy afterwards. He cried for hours, clung to Mama for 3-4 hours until his pain subsided. Meeting cousins for the first time! Z's first meeting with his cousins (my SIL's two daughters). We had nice time with a house full of people to pamper L and Z. 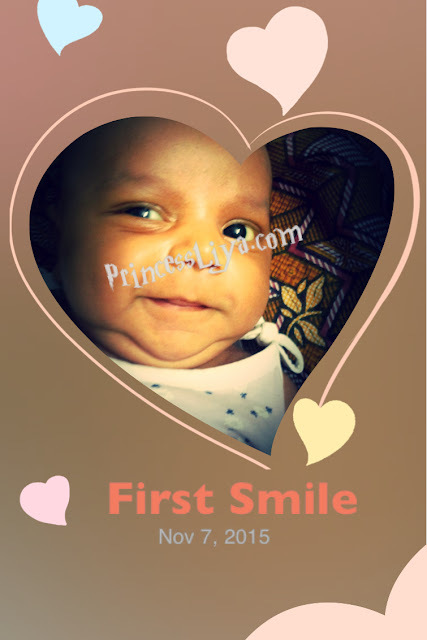 As per Islamic tradition, we've got Baby Z's birth hair shaved on 7th day of birth, same as we did for his sister. It was of course challenging to find someone to shave his head, right here in Bangalore. This is such a common ritual in Muslim families in Kerala, and so it was never such a tiring experience to find one. We finally managed to get a young man through my baby sitter. He did a fantastic job and we were all surprised at the precision and practice he had at such a younger age. Z did great and he slept through the time his head was getting shaved. It's been almost a year, just can't imagine how fast time flew by. A lot have changed in life. I have grown into a 6 year old little lady, moved to Grade 1 and so far doing great with academics. Mama was having an extremely busy year at work. By the way, I am here to share a wonderful with you. 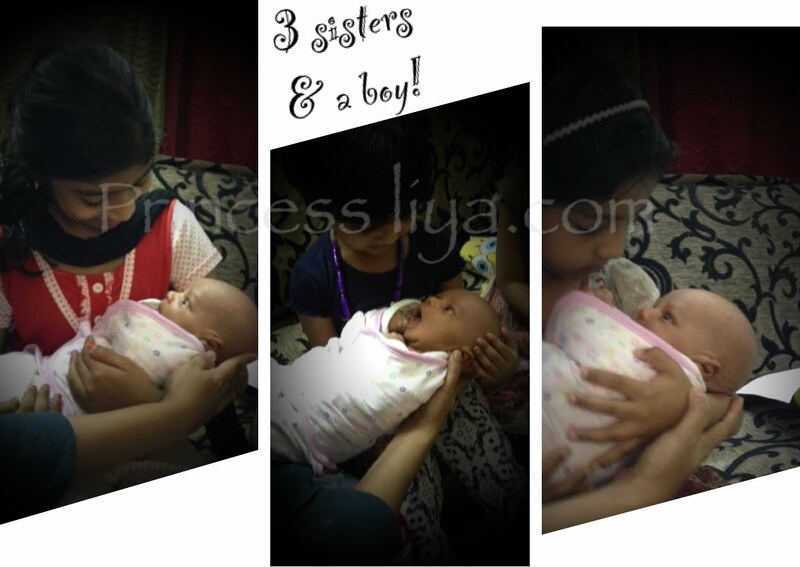 Alhamdulillah, I have become a big sister to a little boy, let's call him baby Zee. Our little rainbow boy was born on Friday, 9th Oct (Sorry.. too late to share the news) 12. 23 PM. Did you know, I was born on 11th Oct 2009, 12.37 AM? Such a precious gift I got on my 6th Birthday. Here is our little boy.